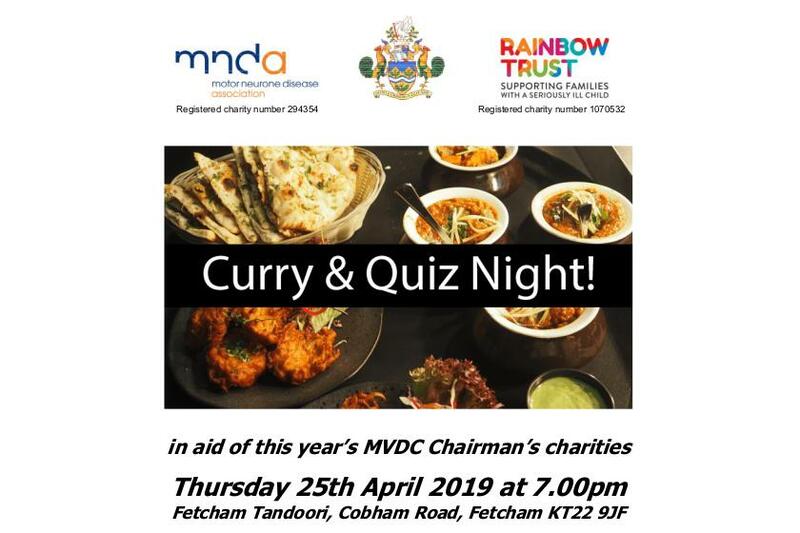 Leatherhead Rotary Club will be hosting a curry and quiz night at Fetcham Tandoori, Cobham Road, Fetcham KT22 9JF on Thursday 25th April 2019, 19:00. For GBP 20 per person, guests will enjoy a two course meal and the chance to bid for a signed Chelsea FC football which will be auctioned on the evening! All proceeds will be split between the Motor Neurone Disease Association and the Rainbow Trust. Please contact Simon Edmands on 07753821964 to book.